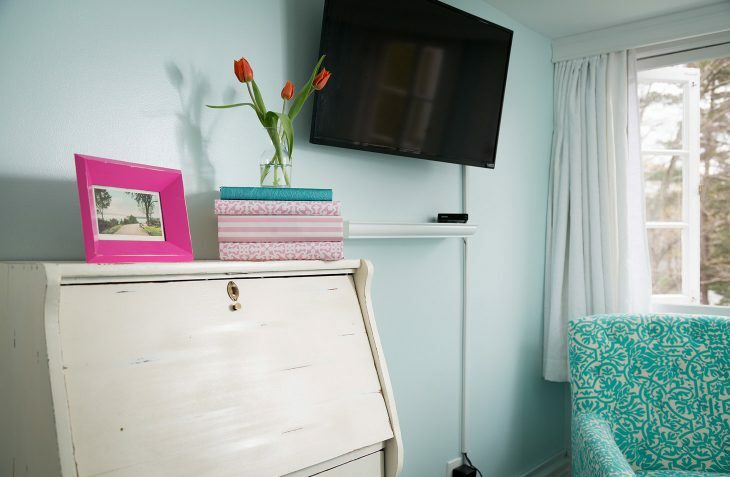 Looking for the right place to escape for romantic weekend getaways in VT, then this darling blue and white room on the third floor with a queen bed, flatscreen TV, and a cozy sitting area will make the perfect choice. 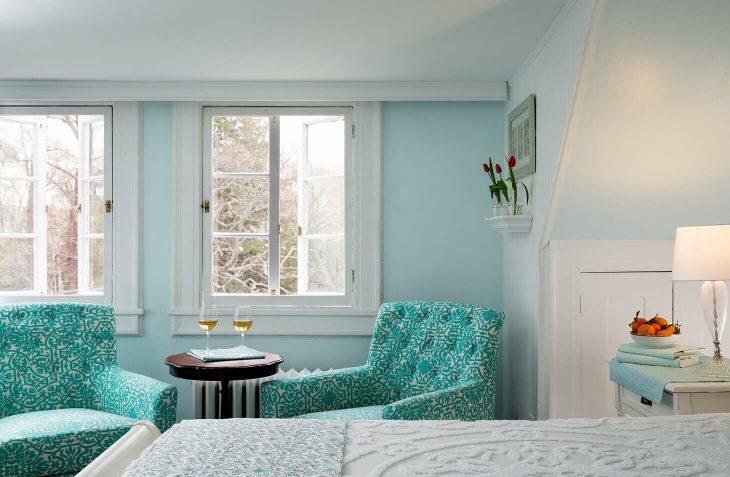 Although this room is one of our smaller rooms, which makes it perfect for getting to spend time together, the charm of the ceiling eaves and european-style windows overlooking the front lawns make it one of our most requested rooms by single travelers and couples alike at our Vermont b&b. 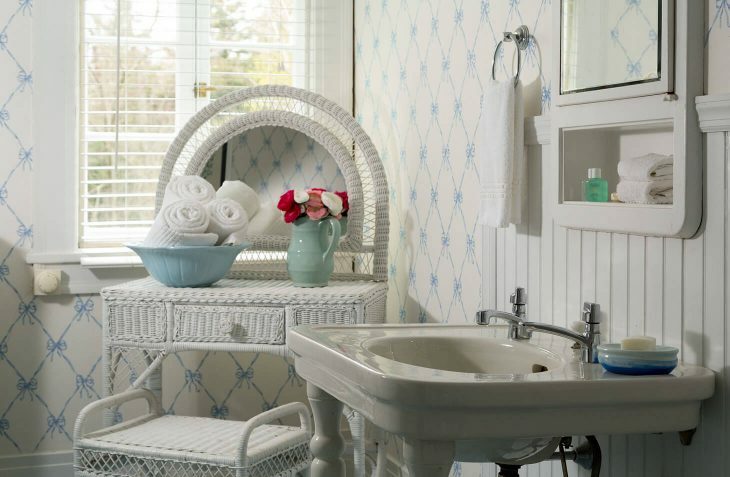 The newly tiled bathroom is large with an antique pedestal sink and jetted tub with shower. Note that you do need to climb two flights of stairs to get to this cozy room. Approximate room size: 14 x12 feet. 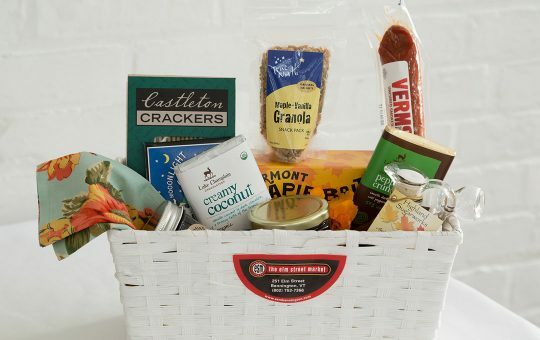 An artful basket of local Vermont chocolates, cheeses, sausages and other goodies.